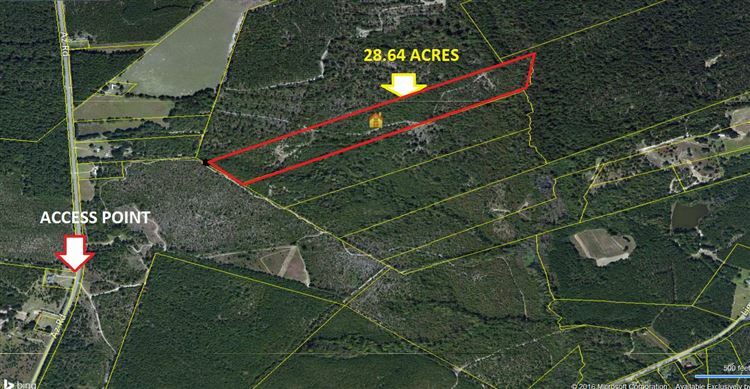 Great 28.64 acre wooded parcel that is perfect for new home build, mobile home, or would make a great hunting tract. Conveniently located less than 10 minutes from North, SC and I-26! Property to transfer via tax deed, LEASE TO PURCHASE OPTION AVAILABLE! . Reference Orangeburg County GIS # 0121-00-01-013. From Bullswamp Rd, Turn left onto AZ RD. Go about a half a mile past 2091 AZ Rd and property is accessible via a dirt road on the left.